It’s been an illuminating week reading all the guides to the new football season. Every newspaper, magazine and website has given their opinion on the forthcoming campaign and many have predicted that Latics will be in the promotion mix at the end of the League 1 season. But what is this view based upon? Wigan may have been in the Premier League for eight years and won the FA cup in 2013 but their recent demise has been catastrophic and the trend is currently downward. It will require a major seachange to arrest this fall. 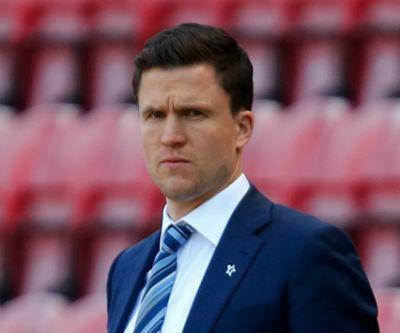 Wigan go into the 2015/16 campaign with a new, untried manager, the youngest chairman in the football league and an almost completely new squad of players. The Chairman has unfortunately made some naive comments saying: “I don’t just want to win this league. I want to smash it and get 100 points”. But the winning habit does not come easy and League 1 will be a tougher nut to crack than he and many people think. Gary Caldwell has said he wants to return to the style of play so effective under Roberto Martinez, but this takes time to develop and requires a technically skilful type of player. League 1 can be physically demanding and Latics will probably need to ‘mix it up’ if they are to be successful at this level. When Latics kick off their season at the Ricoh Arena on Saturday they are entering into the unknown. Wigan may have a big budget for League 1, but do they have the nouse to use those resources to good effect? The form in the pre-season friendlies has been poor and the mass exodus of established players means they are rebuilding from an almost scratch position. Losing talented individuals such as James McClean, Ali Al Habsi, Emmerson Boyce and James Perch could prove costly. Injuries to potential opening day starters Jason Pearce, Emyr Huws and Tim Chow have not helped matters. Some of Latics’ transfer arrivals have been underwhelming, although Caldwell is probably on the right lines with Richard O’Donnell, Craig Morgan, Will Grigg and Michael Jacobs. But who can say whether this new squad will be able to gel together into a cohesive and effective unit. It is a big task to turn Latics into a winning team again, but this hasn’t stopped the pundits from predicting Wigan for promotion. This entry was posted in David Sharpe, Gary Caldwell, League One, Wigan Athletic and tagged David Sharpe, Gary Caldwell, League One, Wigan Athletic. Bookmark the permalink.